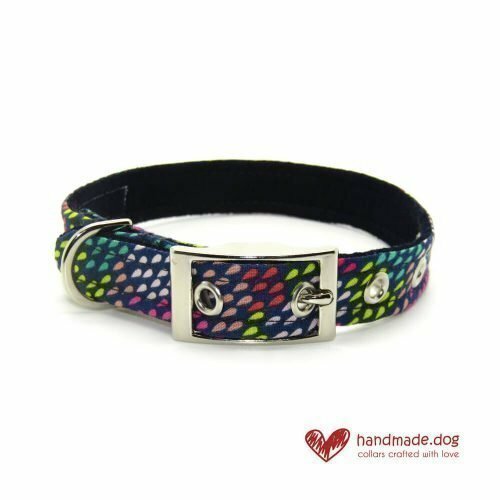 Stand out from the crowd with this beautiful handmade multicoloured rainbow drops fabric dog collar and brighten up your walk in the park! This gorgeous handmade multicoloured rainbow drops fabric dog collar is made with a cotton fabric for a quality finish. 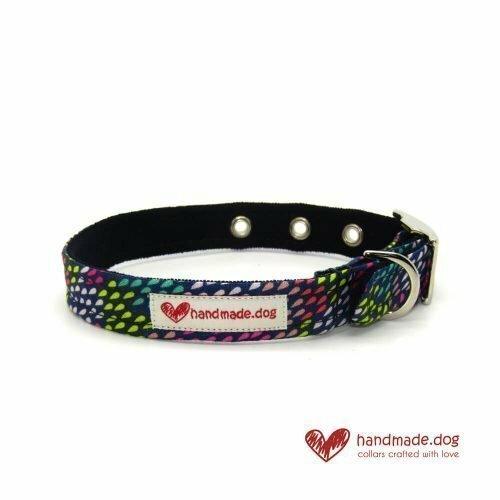 Our fabric collars are lovingly made with a strong webbing core, cast hardware and are sprayed with fabric protector to help repel dirt. 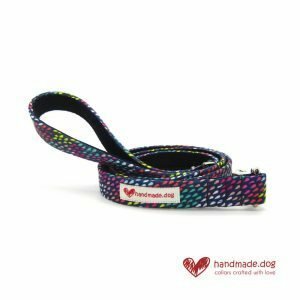 They feature a sturdy metal buckle and eyelets to ensure a comfortable and secure fit for your dog. 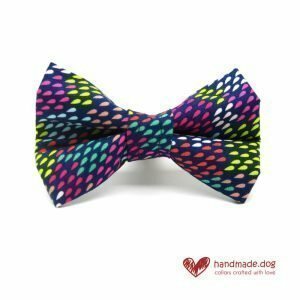 A matching handmade multicoloured rainbow drops fabric dog lead, bandana and dickie bow are also available to make your dog even more dapper! 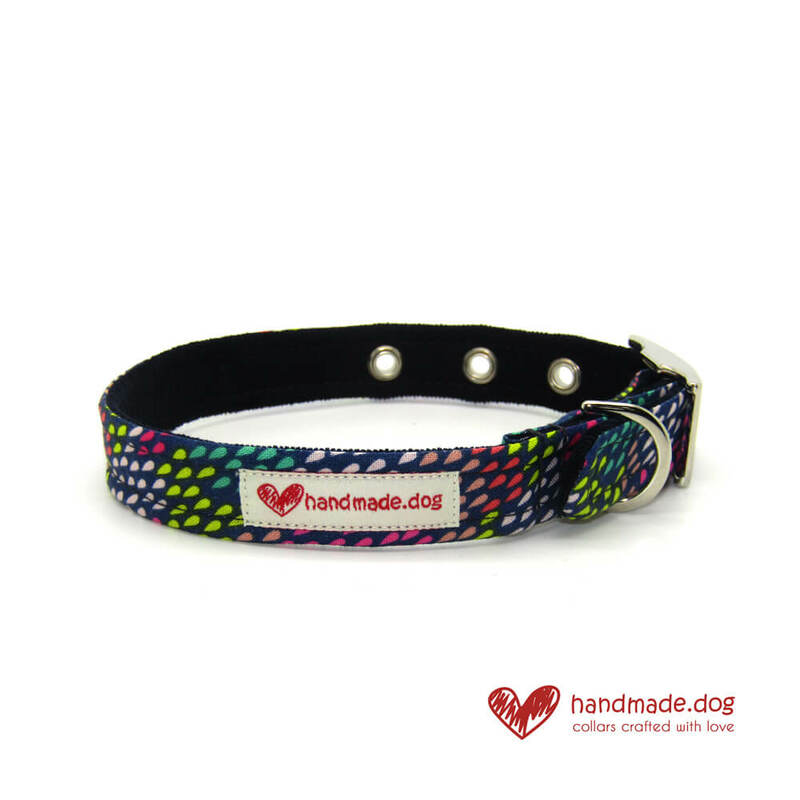 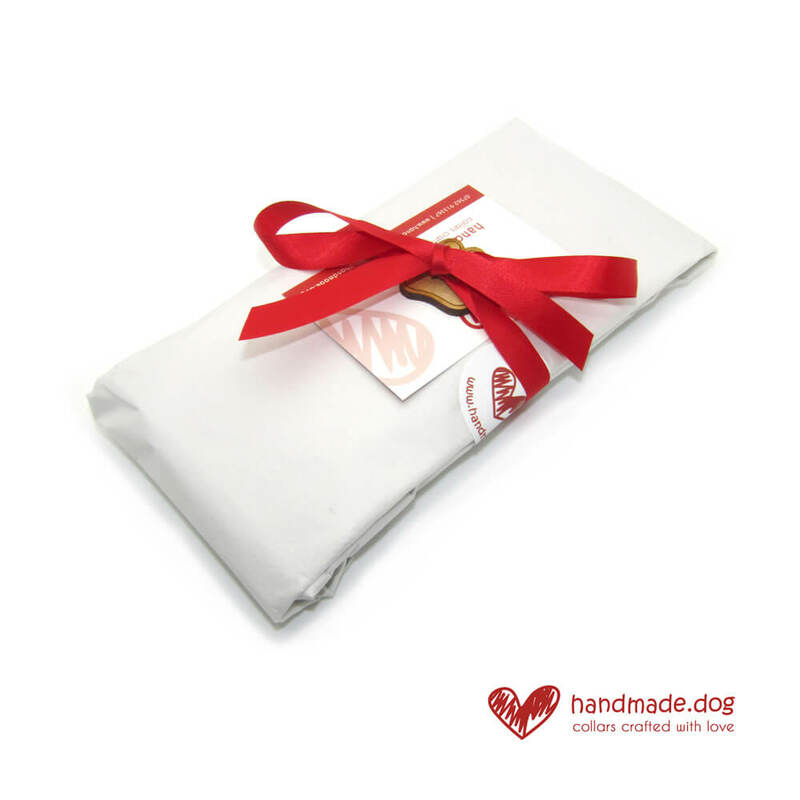 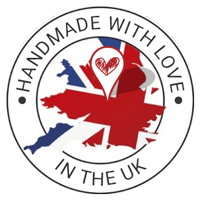 Our handmade fabric dog collars are treated with a high quality fabric protector to help repel any dirt. 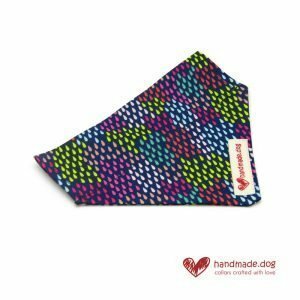 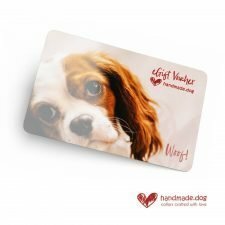 However, should your pooch get mucky, their collar can be machine washed at 30 degrees and left to air dry to bring them back to perfect condition. Consider putting the collar into a pillow case or thick sock before placing in your washing machine.